A frst order reflection from (111) plane is observed for LiX with 2theta =24.6 degree (X-ray of wavelength 1.54 angstrom). Assuming LiX to be a cubic crystal system, calculate the length of the side of the unit cell in angstrom. 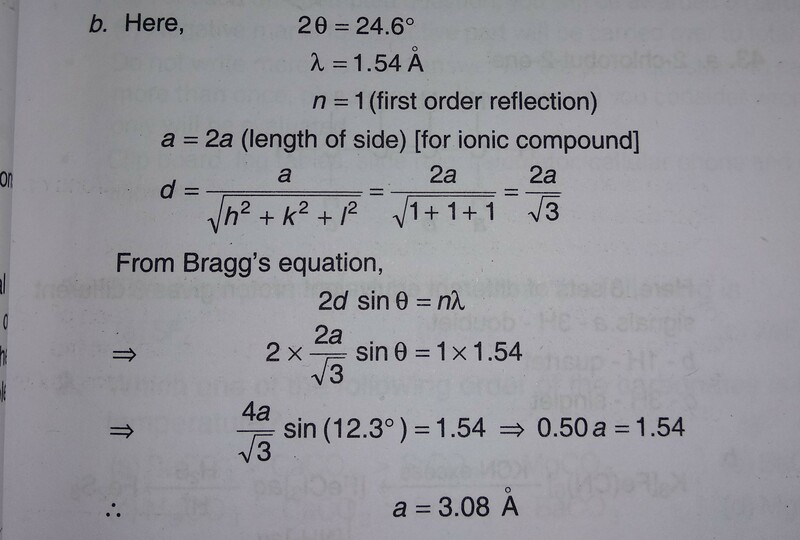 This is a question of JAM 2014, here, the length is considered as a=2a for ionic system in a solution provided by Arihant's book. Why is it so? Is it correct? 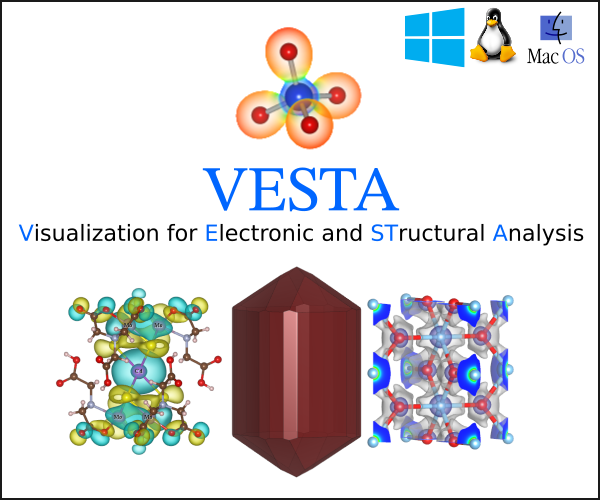 In the rock-salt or sodium chloride (halite) structure, each of the two atom types forms a separate face-centered cubic lattice, with the two lattices interpenetrating so as to form a 3D checkerboard pattern. If LiX crystallizes like NaCl, then the unit cell length is twice the distance of the shortest Li - X distance. The magnitude of the answer given in the book looks like it could be an interatomic distance, but the calculation does not make any sense to me (it does say $a = 2a$, as @Ivan_Neretin already pointed out in the comments. Also, when a calculation drops the units midway and sticks them back in the result, it demonstrates a certain nonchalance that does not instill confidence in the source. The question asks about the unit cell parameter a (in a cubic system, this is all you have to specify to describe the dimensions of the cell because the other two lengths are the same and the angles are all right angles). If that's all you want, the internal structure of the unit cell has no bearing on the calculation (there might be systematic absences in a particular space group, but the question says that the 111 reflection was observed, so there is no issue there either). Why not just plug in the angle, get d, and calculate the unit cell length from that? Not the answer you're looking for? Browse other questions tagged physical-chemistry solid-state-chemistry or ask your own question. Is glass amorphous solid or supercooled liquid? What are the effects of frenkel and schottky defects on electrical conductivity of a solid? Miller Indices: How to deal with some weird(-ish) cases?